The 1st contender is Bianca Ferrer Jickain Aguirre who is a former theater actress and choir member in high school. She is a certified “kontesera” and works as a freelance model. The next contestant is Jamaica Padilla who studied BS Mass Communication. She is a former vegetable vendor and currently works as a call center agent. Last but not the least is Rolando Landa Enciso. She took hairdressing at TESDA and now owns a salon. The hosts told the 3 contenders to press their respective buzzers if it is working. Vice then asked them the 1st question about the song “Despacito”. Jamaica pressed her buzzer first then gave the right answer and she advanced in the 2nd round. For the next question, Bianca also gave the correct answer and got to advance in the next round while Landa is eliminated. Jamaica is called by Vice and she gave a sample by singing Be My Lady. Her question then says; if you cooked rice but someone ate it, who will clean the dishes? She answered that she will clean the dishes because it will be satisfying for her that someone appreciates her effort. Bianca is the next one to be called and her question says; which is easier sisiw lang or maning-mani? She chose sisiw lang because if you will give everything that you can, it will be just easy for you. 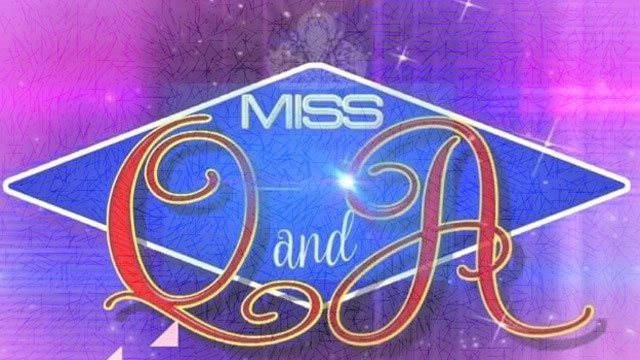 Based on their answers, the judges prefer Jamaica and will compete with the reigning queen. Jamaica and Bryce are now going to answer the same question that says; if you are married but unable to give birth, will you allow your husband to have a child with someone else? The daily winner answered that she will not allow her husband because she believes that it is a forbidden law in the eyes of God and the society. Bryce on the other hand chose to allow her partner because she believes that life is like a ship, you don’t know what will happen. After a deliberation, Bryce is still the reigning queen and will defend her crown tomorrow.